The Museum of the Bible says five of its Dead Sea Scrolls are fraudulent and will no longer be on display. The Washington, D.C., museum said an independent analysis found characteristics of the five scrolls were "inconsistent with ancient origin and therefore will no longer be displayed at the museum." "Though we had hoped the testing would render different results, this is an opportunity to educate the public on the importance of verifying the authenticity of rare biblical artifacts, the elaborate testing process undertaken and our commitment to transparency," Jeffrey Kloha, the museum's chief curatorial officer, said in a statement. The Dead Sea Scrolls are a collection of 2,000-year-old texts, including early copies of the Hebrew Bible, discovered in caves in the Judean Desert in the 1940s and 50s. While the spectacular find continues to be studied by archaeologists, some forgeries have made their way into the antiquities market. The Museum of the Bible says it had the independent testing done on 16 Dead Sea Scrolls in its collection. Kloha added: "As an educational institution entrusted with cultural heritage, the museum upholds and adheres to all museum and ethical guidelines on collection care, research and display." The museum said it had displayed the five fragments since it opened its doors last November. It plans to replace them with three other fragments pending "further scientific analysis and scholarly research." "Exhibit labels will continue to inform guests that there have been questions raised about the authenticity of these fragments, and that further research will be conducted," the museum said in a statement. Last year, the $500 million museum opened just blocks away from the Capitol. 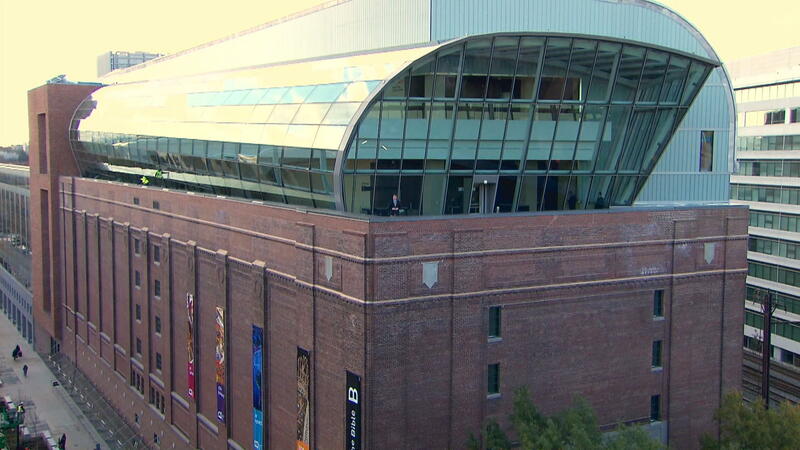 The 430,000-square-foot museum is the largest privately-funded museum in the city. More than 50,000 donors contributed to the construction of the museum, but the largest and most controversial donor is Hobby Lobby, the arts-and-crafts chain founded by the conservative Christian Green family. Last year, Hobby Lobby agreed to forfeit pieces from its collection after it was discovered that artifacts had been smuggled into the U.S. from the Middle East.